Design Therapy: Ready To Serve. Our friend Dave over at The Future Perfect just sent us over an exciting opportunity to own a piece of history. 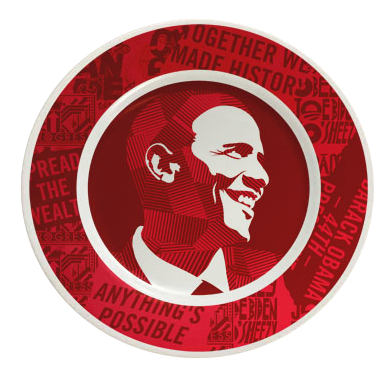 These commemorative plates were designed by "Andre The Giant Has A Posse" artist Shepard Fairey, and provide the same iconic style as his now famous "Hope" Poster. 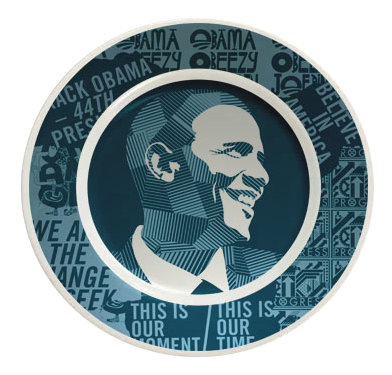 Along with being idealistic, these plates are exclusive to the Future Perfect and officially became available on Inauguration Day. There is a limited edition of 500 plates in each color and they're only 89 bucks each. (Certain to be worth a lot more in the near future!) 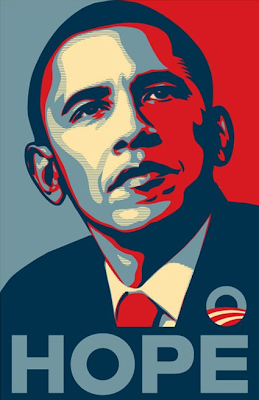 We recommend you act fast...we have a feeling these are going to fly off the shelves faster than Bush flew out of DC!